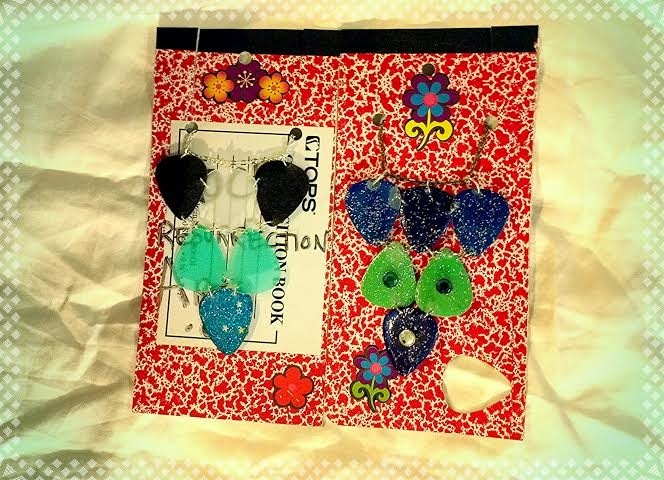 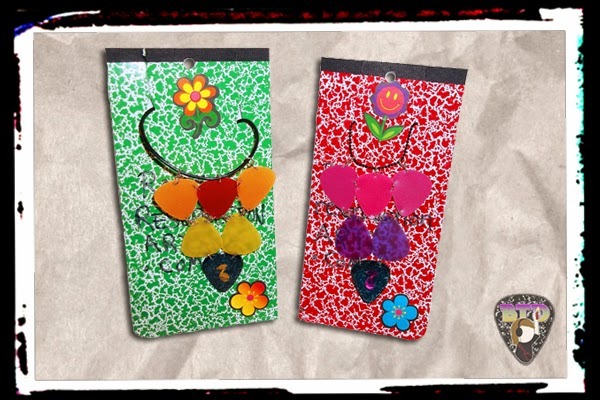 Here all all the different guitar pick necklaces I have available. 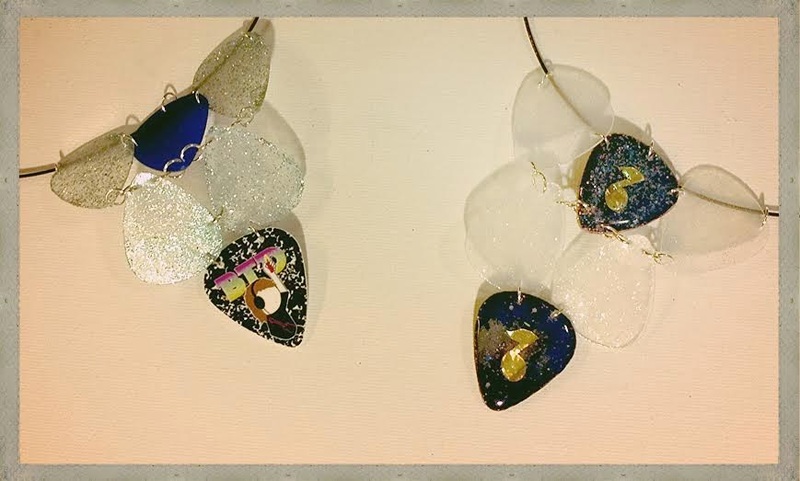 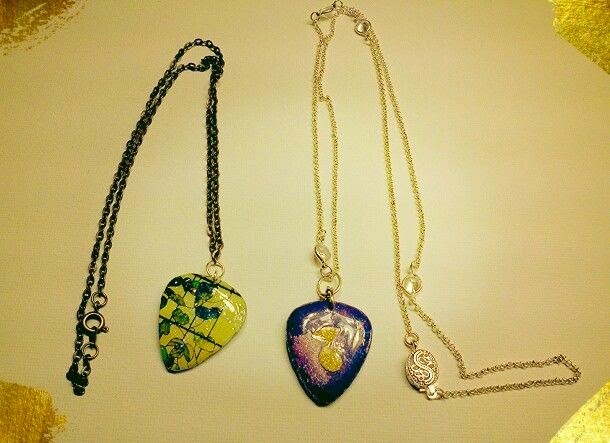 Two guitar pick necklaces on a choker style cord with iridescent glittery picks. 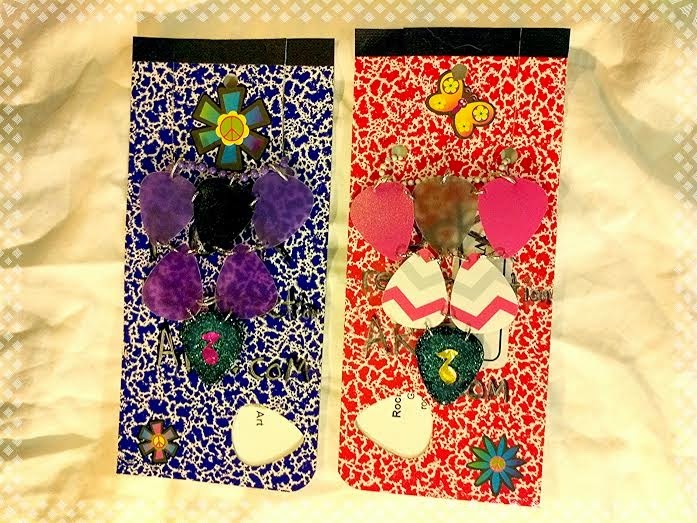 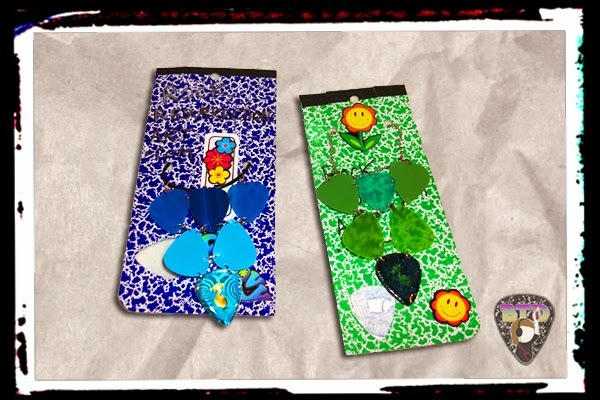 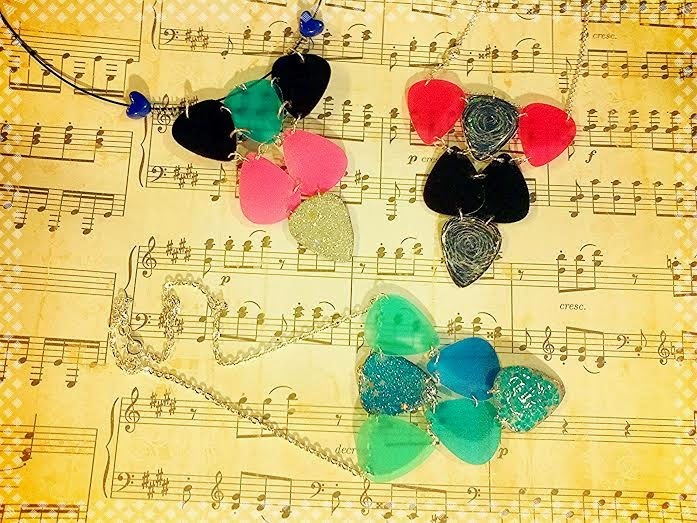 Color Changing guitar pick necklace WIN IT in our giveaway! 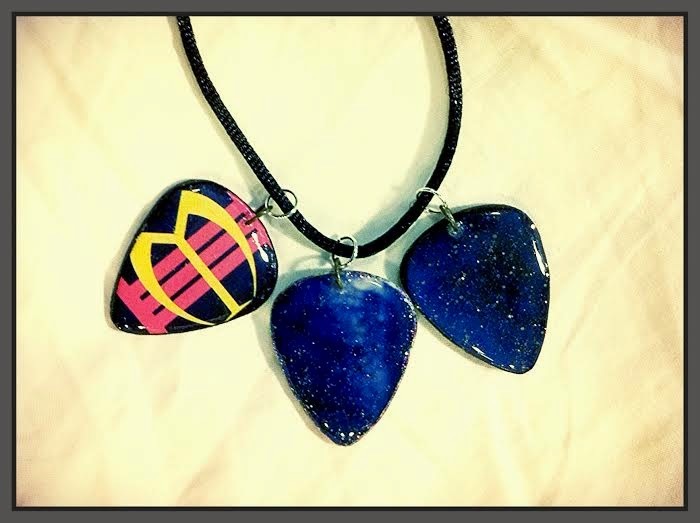 Three brand new choker style necklaces with guitar picks!